When we look at acu­punc­ture to induce labour, we are explor­ing a nat­ur­al meth­od of labour induc­tion. 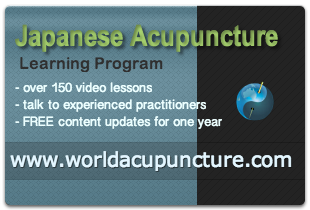 In my extens­ive exper­i­ence as an acu­punc­tur­ist, I have found that Japanese Acupuncture has been very effect­ive in help­ing to pre­pare a moth­er or a poten­tial moth­er for child birth. To look at the effects of acu­punc­ture treat­ments in the same light as the Western med­ic­al mod­el where chem­ic­als are giv­en to the moth­er for a labour induc­tion pro­cess, is a very nar­row per­spect­ive on what tra­di­tion­al acu­punc­ture can do in regards to preg­nancy and the pro­mo­tion of an easi­er labour in child­birth..
Acupuncture can be used in the first couple of months of preg­nancy to deal with smal­ler issues such as morn­ing sick­ness, rest­less sleep and irrit­ab­il­ity – the sorts of con­di­tions that crop up com­monly in preg­nancy. Acupuncture can be extremely effect­ive in help­ing to mod­er­ate the sever­ity of these symp­toms, as well as address issues such as reten­tion of flu­id and the heat­ing up of the sys­tem. However, in the con­text of assist­ing labour, the abso­lute best mod­el in my exper­i­ence is for the moth­er to have a series of acu­punc­ture treat­ments, espe­cially in the month pri­or to the deliv­ery date — where the optim­um num­ber of acu­punc­ture treat­ments would be two per week. I was for­tu­nate enough (and I am very grate­ful for this), to provide acu­punc­ture treat­ments for my own daugh­ter through two of her preg­nan­cies and, in each case, to assist her to have a rel­at­ively easy, short labour. Both of the births were rel­at­ively quick, one baby was delivered in three hours and the oth­er in four hours. In the case of the first child, I was due to be present at the birth but the hos­pit­al staff told me not to both­er to come up until 3am. So I left to be at the hos­pit­al by that time and, when I got there, I thought that the room was pecu­li­arly quiet and there was a very dif­fer­ent feel­ing in the room to what I had been expect­ing. It tran­spired that my daugh­ter had already delivered her first child, my beau­ti­ful grand­daugh­ter. Such was the fluid­ity of that par­tic­u­lar labour. This does not hap­pen on every occa­sion, but in a vast major­ity of situ­ations, it is my exper­i­ence that the applic­a­tion of judi­cious, Japanese acu­punc­ture treat­ment can really help in dilat­ing the cer­vix and pro­mot­ing strong and short­er peri­ods of labour. My own fam­ily has proven the bene­fi­cial effects of using Japanese acu­punc­ture to induce labour.